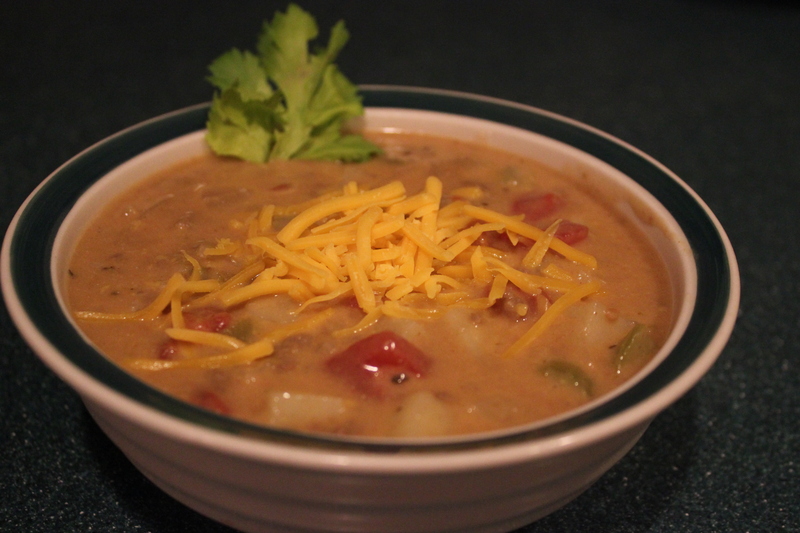 Cheeseburger Soup ~anything that tastes like a Cheesburger has to be good! Takes about 30 minutes total to cook, and this was very appetizing. I will be honest; I am enjoying a bowl right now for lunch and heated up it has lost none of its appeal. Still very flavorful and lip-smacking! This made probably enough to feed 6 or 7 people. I would serve with a warm crusty baguette. Heat the oil in a pot and brown the beef over medium high heat break up the beef in the pan as it browns.DO NOT drain the fat, once the meat has browned add the onion, celery, garlic and potatoes and cook for an additional 2 to 3 minutes before stirring in the flour. 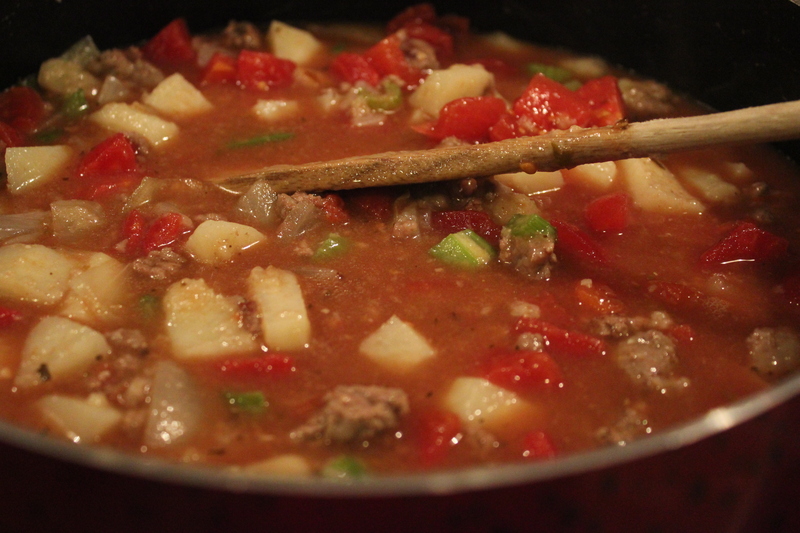 Evenly coat the mixture and cook for 2 minutes before stirring in the beef broth and tomatoes. 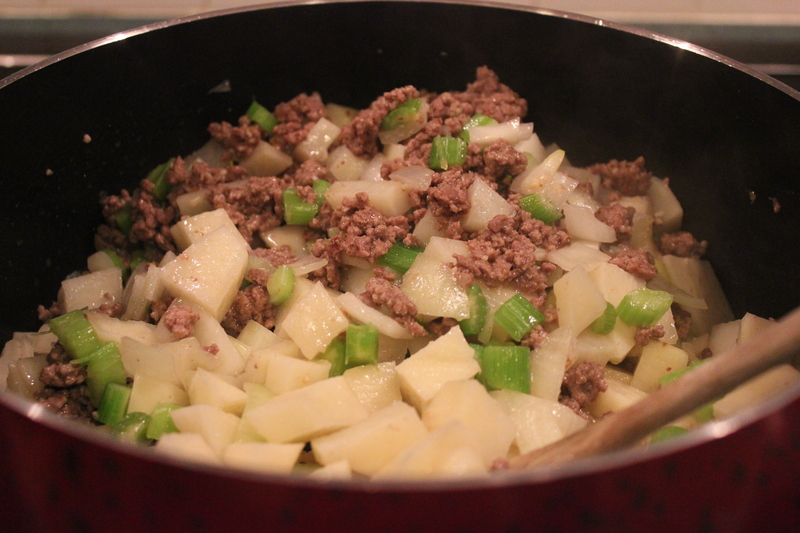 Reduce the heat to medium and boil for ten minutes or until the potatoes are tender. Make sure to keep stirring as it will stick to the bottom ruining your creation. Once the potatoes are tender turn off the heat and add the sour cream, once the sour cream has been incorporated into the base add the milk. Do not bring back to boiling after adding the milk, if you need to keep warm on low that is fine. 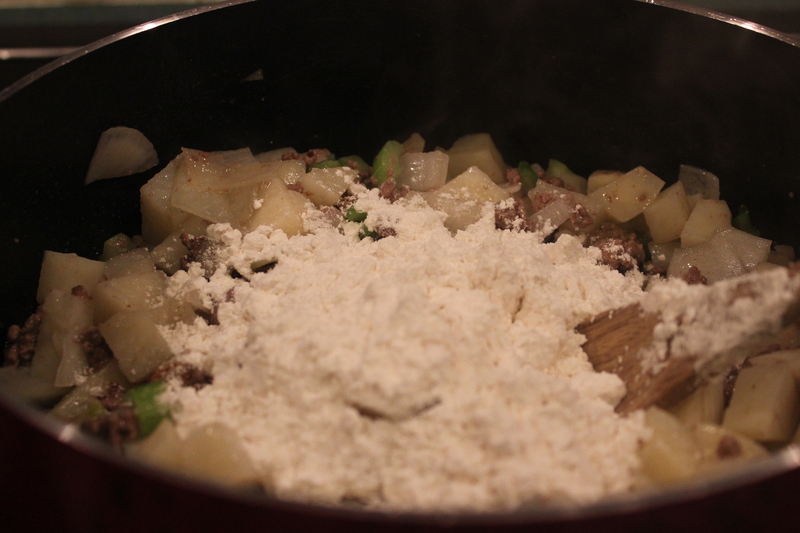 Add the cheese reserving a small amount to top each bowl.